The latest movie franchise “The Second Best Exotic Marigold Hotel” to hit screens this March 18 exclusive at Ayala Malls Cinemas is an unprecedented move from producers Graham Broadbent and Peter Czernin since they were initially cautious about a sequel for an indie film that never anticipated anything of the sort. There was a certain boldness to doing something unprecedented: revisiting characters who are not action heroes, or part of a franchise. The new film “The Second Best Exotic Marigold Hotel” takes up a short time after the first one “The Best Exotic Marigold Hotel” ended. Sonny is now engaged to the beautiful Sunaina (Ms Desai) and they are planning a lavish wedding. Sonny also dreams of opening a second hotel to expand his blossoming business and along with Muriel (Maggie Smith) travels to the US in a bid to convince a leisure group to invest in his scheme. They return hopeful that it will happen, but on guard that one of the chain’s hotel inspectors will secretly be paying the Marigold a visit to check that it’s all that Sonny and Muriel claim it to be – and that will decide whether much needed investment will follow. When the handsome, rich Kush (Shazad Latif) – one of Sunaina’s family’s close friends – arrives on the scene, Sonny fears that not only is he a rival for her affections, but he could also wreck his business plans by buying the building he has earmarked for his second Marigold. 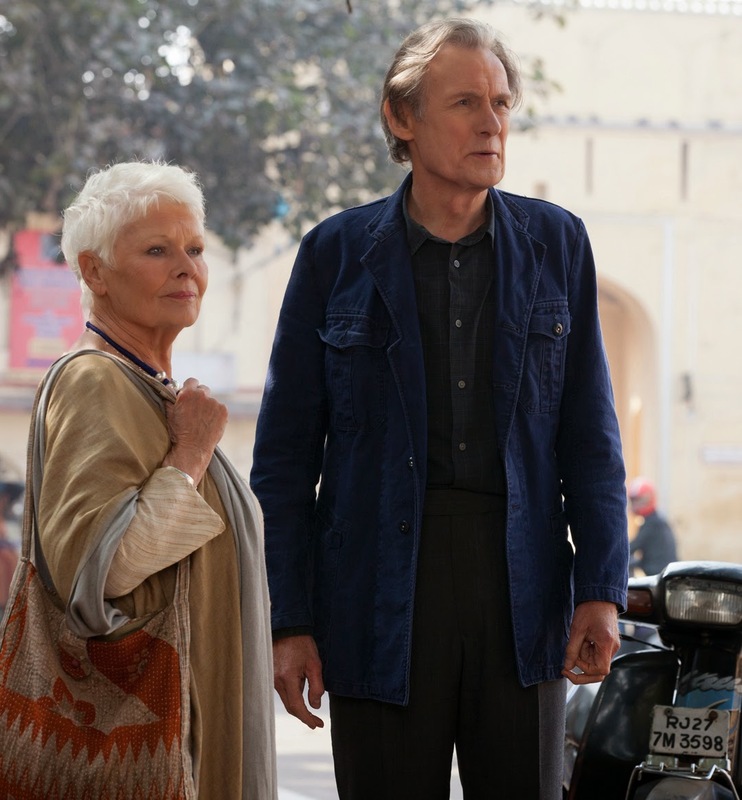 The hotel’s guests have settled into life in their adopted land; Evelyn (Dame Judi Dench) has been offered a job as a buyer for a fabrics company and Douglas Ainslee (Bill Nighy) hopes that their friendship will deepen into a romance. She remains hesitant even though she is clearly taken with Ainslee. Madge Hardcastle (Celia Imrie) is being wooed by two very eligible local men, and is trying to decide which one she would choose should he pop the question. Norman (Ronald Pickup) begins to fear that his wife, Carol (Diana Hardcastle), is having an affair. When two newcomers arrive to stay at the Marigold – the mysterious writer Guy (Richard Gere) and another Brit, Lavinia (Tamsin Grieg), who claims she is researching a place where her mother might stay – Sonny is convinced the handsome American is the undercover inspector and promptly offers him the best room in the hotel and a personal tour of the area.